This is my grandmother’s recipe. Honestly, it is one of the best pecan pies that I have ever tasted. I have enjoyed this recipe for pecan pie all of my life. I believe this may have been the original pecan pie recipe on the back of a Karo bottle, this is no longer the current recipe for pecan pie on the bottle. Hands down my personal favorite pecan pie recipe, this one is from my Grandmother McDowell. Beat eggs; add sugar, syrup, salt, vanilla, and butter. Place pecans in pie shell. Add mixture. Bake in a 350 degrees oven for 50-60 minutes. The nuts will rise to top and form a crusted layer. I’m definitely making this for Thanksgiving! 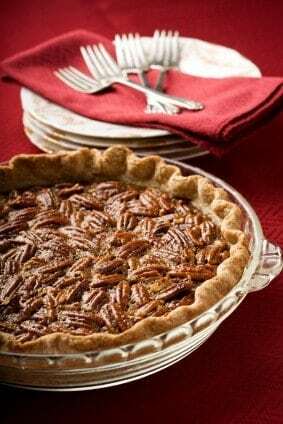 I’m a diabetic but really love pecans, i thought maybe to make them into tarts, that way i can enjoy them but not over due, since it is now just myself and my husband. The children live so far away since they grew up.